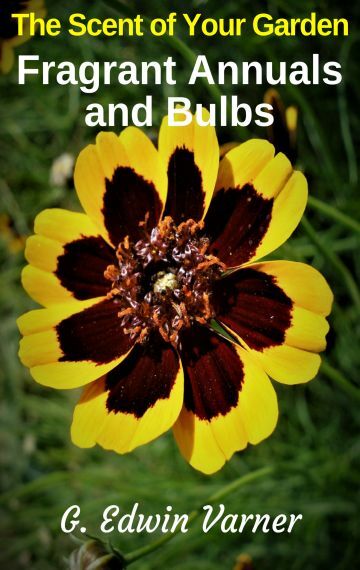 Presented in this ebook guide are some exciting, easy to grow, fragrant annual flowers, and bulbs all new and experienced gardeners can grow in their gardens. This ebook is part of a series called The Scent of Your Garden and is an updated and revised work of the descriptive catalogs G. Edwin Varner wrote for nearly 20 years. He owned and operated a successful mail order nursery which specialized in growing fragrant garden flowers. He adds humor (well, tries to) and historical information about the plants he has enjoyed over the years. Many have outstanding aromas to enjoy all summer long. Plant them in beds or borders to accent your perennial flowers but also use them in containers to place on patios, decks or anywhere you spend your days and evenings to enjoy the perfumes. Think of all the pleasurable possibilities! Although we concentrate on color, flower-scent adds an extra dimension of enjoyment to flower gardening. Allow yourself plenty of time to savor the spectacular flowering show that fragrant annual flowers and bulbs offer for you. This ebook helps you learn and discover easy to grow annual flowering plants which provide delightful fragrances for your garden. Let’s cultivate not only their beautiful flowers but also plenty of smiles.